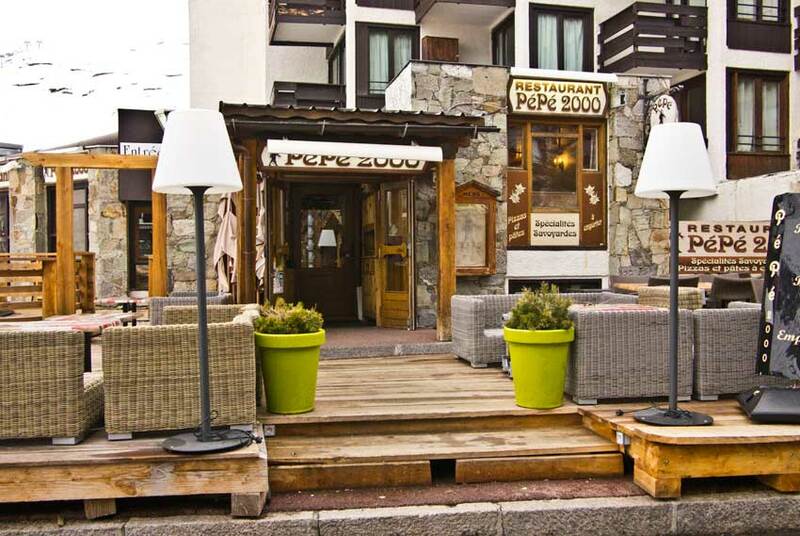 Pépé 2000, in the Sefcotel building, is a pizza restaurant open daily from 9 am to 22:30pm, offering mainly pizzas, pasta dishes and regional specialties. The pizzas are made in the centre of the restaurant, which allows customers to see the pizza chef working the dough and applying the toppings. The mountain-style wooden decorated interior provides a warm atmosphere. Outside, the large sunny terrace at the bottom of the slopes is a perfect lunchtime stop for skiers.